Philip ‘Cato’ Kwong used to be the face of the Western Australian police force’s recruitment posters and on a face-track to the top. Then one of his early convictions is overturned when the real murderer is caught several years later, the evidence from the first case having been tampered with, and Cato is relegated to the stock squad, investigating farm and animal related incidents. The move is designed to make him leave the force, a decision he’s close to making when he and his partner are sent to the small coastal town of Hopetoun that’s being transformed by a new mine to investigate the discovery of a torso washed up a beach. There he’s reunited with an old flame, Tess Maguire, who’s fighting her own demons and a fourteen year old daughter. They make little headway in the case, rebuffed by unhelpful locals as they slowly pick away at the town’s underbelly and its exploitation of Chinese migrant workers. And unbeknownst to them, they unsettle a man with a very dark past, one that ex-cop and pommie retiree to Australia, Stuart Miller, has been chasing his whole life. 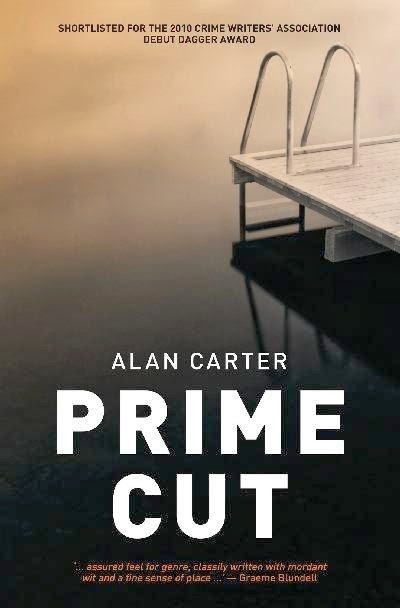 The strengths of Prime Cut are the evocative sense of place, the characterisation, and the mordant sense of wit. Carter places the reader on the southern shore of Western Australia, with its scenic beaches and desolate landscape, and into Hopetoun, a small town being transformed by a massive nearby mine. He populates the town and story with an interesting set of characters who are nicely penned, especially Cato Kwong and Tess Maguire, two damaged cops clinging onto their roles and rethinking their futures. 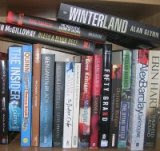 The storytelling is engaging, aided by a very nice dose of dark wit, expressed through some zinging one-liners. For the most part the plot worked well, with a couple of decent hooks and steady pace, but as the story progressed it fractured into too many subplots and some of the scenes felt a little over-the-top and melodramatic. Personally, I felt the Sunderland-linked plotline was not needed and was rooted in too much coincidence - it was if Carter couldn’t decide which case the tale should be about, the washed up torso or the Sunderland murderer and rammed together two plots that could have been the central focus of the story in their own right. Sometimes, less is more. Regardless, I’d be interested to read the second book in the series to see how Cato fares in trying to get his career and personal life back on track.